Hey everyone! It’s been a busy summer hence my absence from the blog. I’ve been getting so many maternity & newborn inquiries that I felt it was time that I made it back here to share so many sessions I have yet to post. I trekked through a snow storm to get to this gorgeous couple and their brand new baby boy. That soft filtered light coupled with the amazing windows in their Boston suburb home created a beautiful photographic environment for me to play in that February morning. Sessions do *not* need to take place within the first 7-10 days after the baby is born. Because my sessions are lifestyle in nature versus the posed “studio-style” sessions the babies do not necessarily need to be in the early sleepy newborn stage. I tell moms when YOU are ready after you get home from the hospital is when we can do it. Whether it’s 3 weeks out after your c-section or even 3 days after you return home from the hospital. Don’t stress! These sessions are all about you and the baby–husband, partner, siblings, and even pets 😉 Also, did you know I create custom birth announcements? One more thing to not have to stress about. Hallelujah! As always, reach out anytime for more information on how to book your newborn portraits. Rachel - Beautiful lifestyle session. You did a great job capturing this sweet tlittle one! Brenda - Absolutely gorgeous! Love these newborn images! Shawndelle - Beautiful images and the little ones are so cute. Irene - Beautiful lifestyle photos. I love this style of photographing newborns. You also captured the joy of the parents! So wonderful to see. 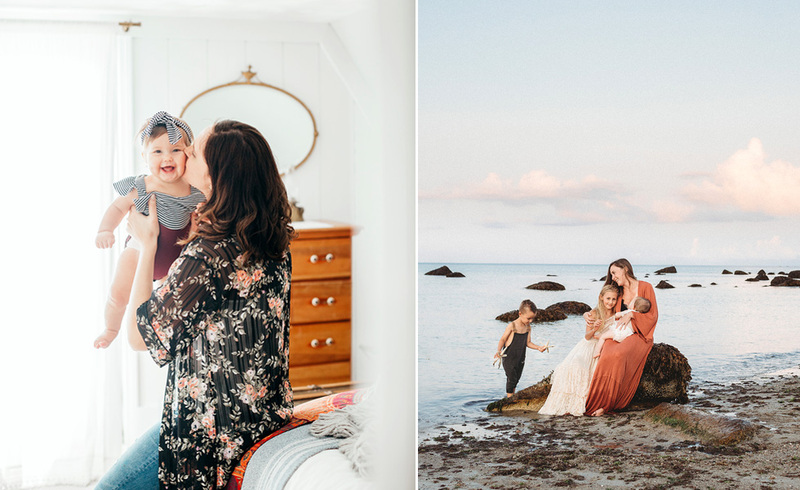 Heather Neilson - Beautiful lifestyle newborn photos – I am in love with your gorgeous use of light!